So. If you are considering a leap onto the “original is best” Malayalam bandwagon and insist that I must see Kadha Parayumbol, please take a moment, breathe, perhaps go make a cup of tea instead. I’m perfectly happy with this film! What makes Billu work so well for me is that I have a high degree of awareness and appreciation of Shah Rukh’s career so the references and sly jabs at and by SRK really resonate. I wouldn’t have that to the same extent with a different regional cast, even if it is Mammootty in the big star role. Priyadarshan directs a deceptively simple slice of life drama. Billu (Irrfan, in no surname mode) is a barber in picturesque Budbuda. 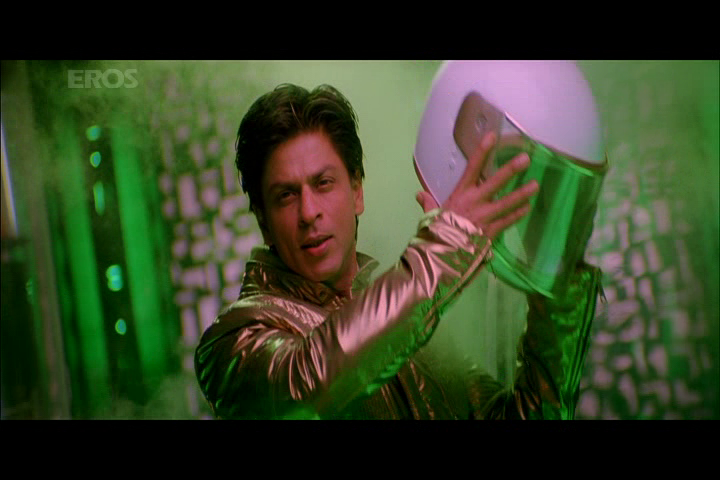 Sahir Khan (Shah Rukh Khan in King Khan mode) is a massive movie star. 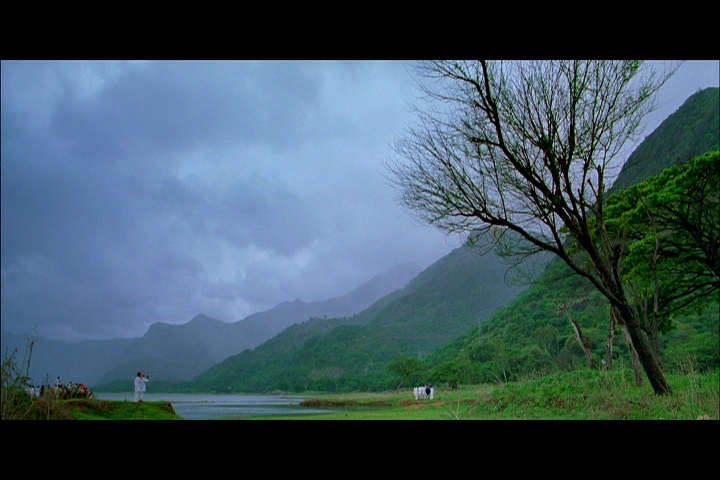 Sahir suggests Budbuda as the location for the village scenes in his current project. Filming in the village was essential to the story as otherwise how would the Martian brother find his long lost sibling who was wearing a matching locket that beeped. I liked the interplay of real life and filmidom, in scenes when Sahir was enduring the plot narration, or when the villagers watched the shooting as though they were seeing life on Mars. Mayhem erupts in Budbuda once the villagers find out that Billu and Sahir were childhood friends. Everyone wants to get an autograph, to get their brush with fame, and all the bigwigs demand that Billu introduce them to Sahir. 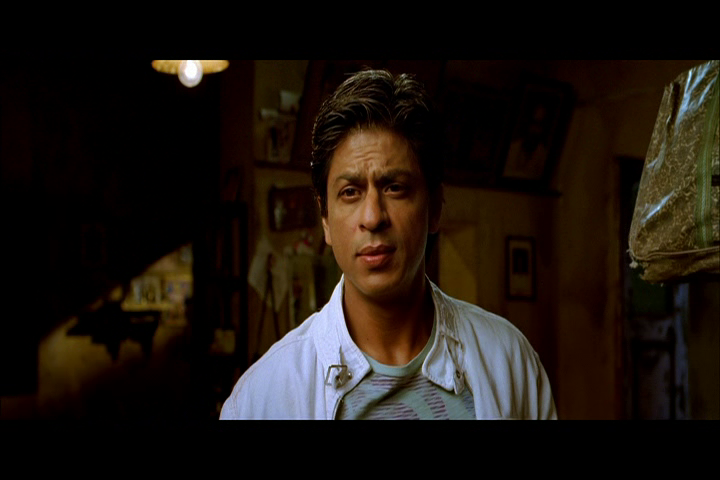 But Billu repeatedly dodges the issue, even when his wife Bindiya (Lara Dutta) and annoying kids keep asking. Eventually the villagers start to believe he lied and accuse him of defrauding them of the gifts they had willingly pressed upon him. Irrfan relies on his slightly oddball, rumpled, everyman persona for Billu and it works a treat. He comes across as good hearted but a little cynical, proud in himself but overwhelmed by the difference in status between himself and Sahir. Billu has told his family of a childhood friendship with Sahir, but is totally unprepared for how his village reacts when they find out. He is reluctant to contact Sahir, citing bygone time and the difference in their positions. But Billu’s inarticulate objections fall on fallow ground. It’s interesting that when Billu was negotiating with the school or others he could be quite glib, if apparently simple. Billu did go to the shooting and marvelled at the spectacle of Kareena’s duckface in Marjaani along with everyone else, but he flubbed all opportunities to speak to Sahir. I think he just wanted fate to intervene and take care of the logistics so he could see his mate without forcing himself upon Sahir. Lara Dutta is beautiful but not too filmi glam as Bindiya. I could feel her frustration, not at being poor, but at having to be subservient and cop all the crap that comes with being seen as a beggar. Bindiya dreams of meeting Sahir and of the benefits that knowing a big star could give her family, but isn’t greedy. She just knows how things are when you’re the outsiders, and wants to take opportunities where they arise. 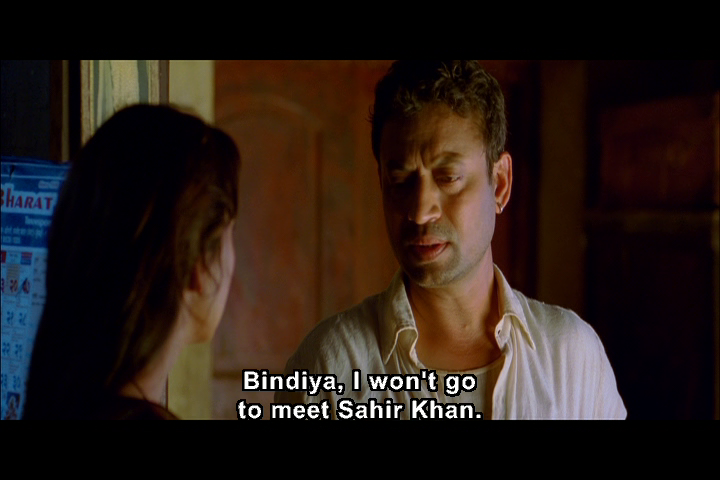 Bindiya obviously thinks the world of Billu and it took a lot for her to actually ask him if his friendship was real. I thought it said a lot that there was no rancour in the conversation, and Billu still walked her to the school to hear Sahir speak. They had a solid relationship and as more of their backstory was revealed I had more appreciation for her. 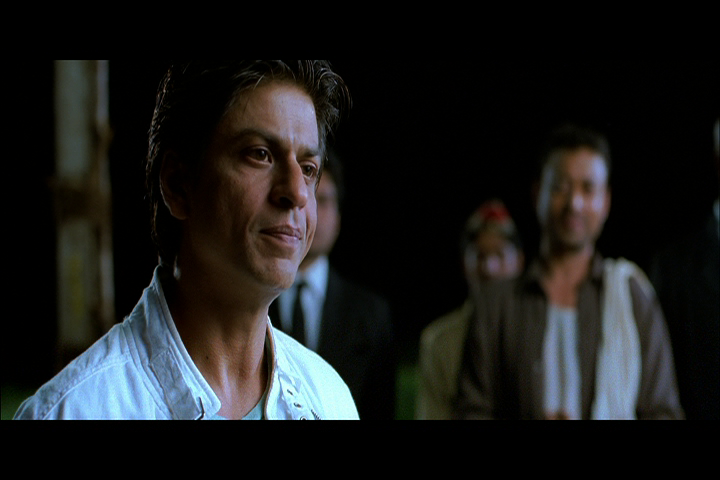 Sahir is often absent from the action, but his presence permeates everything. I like SRK as a bad guy, and as a hero, but I especially like him as a hero who still has a healthy reservoir of cynicism alongside the cheesy entertainer reflexes (I also loved OSO). I enjoyed his character’s observations on controversy, and expectations audiences have, and his little encounters with Chaubey the guesthouse manager. Some dialogue sounded very similar to things Shah Rukh has said himself so I found the added element which may or may not be a reflection of his own views very appealing. Apart from That Speech he keeps Sahil quite sensible and vaguely amused by all the shenanigans unfolding around him, with occasional flashes of crankiness that may be caused by chafing from all the bedazzled outfits. 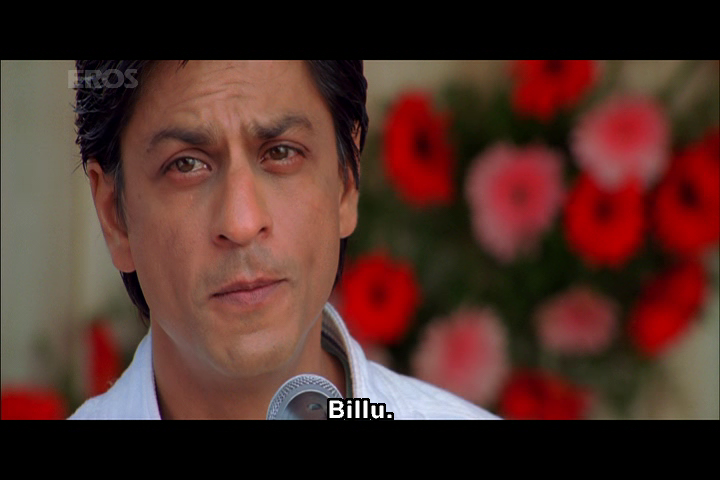 Sahir’s moment with Billu is quite beautiful, and so much better than the big build up that preceded it. It’s a performance I enjoy both for the overt manifestation of star power and the glimpse under the glossy veneer, and the expert manipulation by a master of crowd pleasing. Shah Rukh’s own career is referenced extensively in posters on village walls, old movie stills and promo pictures, a montage celebrating Sahir’s stardom. The film within a film device also allowed some spectacularly silly and blinged out song concepts as they didn’t have to fit in with the plot as such, and could also use a parade of Shah Rukh’s recent-ish heroines. In every song there is a moment when he gets a goofy grin and he can’t help uncle dancing a bit despite the choreographers’ best efforts. I love it. Plus I think Evil Anthony makes an appearance. Each shot serves to express the focal character’s universe, from set design to lighting to the framing. It’s a pleasure just to look at this film. 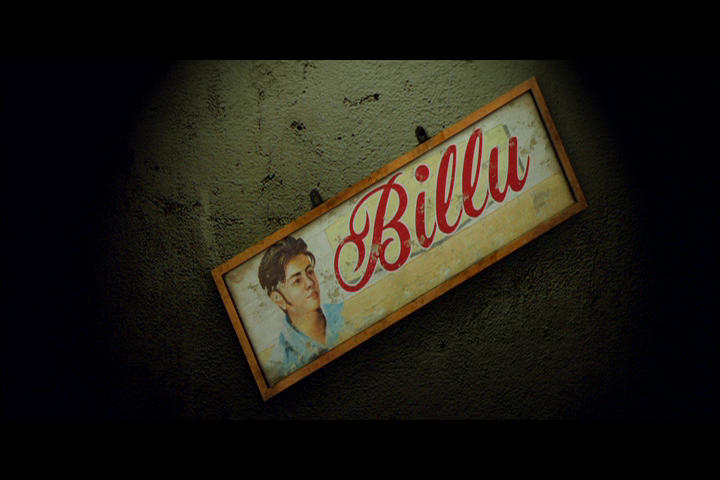 Pritam made Billu’s songs and background music more organic than the filmi stuff, and they were accompanied by lush “real world” visuals lovingly captured by V Manikandan. “Jaaun Kahan” is a bewildered meditation, while “Khudaya Khair” is a sweetly romantic dream that could star either your husband or Sahir Khan, mood depending. The village setting was glorious and while I’m pretty sure it was in Tamil Nadu I chose not to overthink the geography/language mash up. The standouts in the support cast were Asrani as Naubat Chacha, a rare voice of moderation and always seeing Billu’s side, and both Om Puri and Manoj Joshi throwing their weight around as self-important and self-proclaimed VIPs. 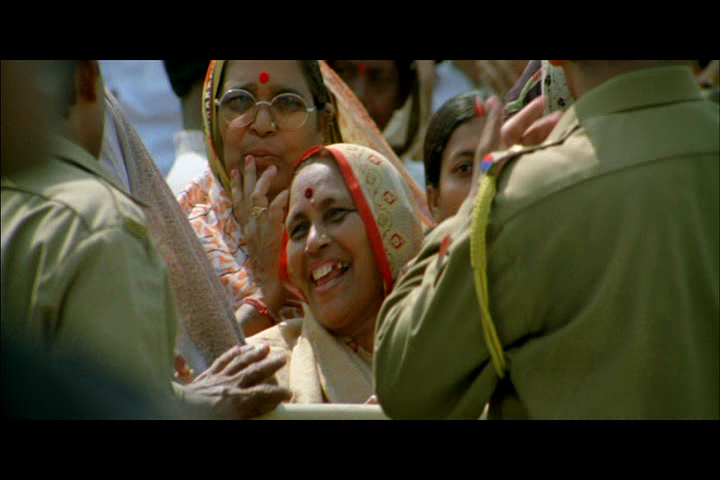 I also liked Rasika Joshi as the long suffering principal who turned out to be not such a bad old stick. Would this film make you a Shah Rukh fan if you weren’t one already? Maybe not. But it is a departure from his Rahul shtick and there is enough of a gleam in his eye and a quirk to those famous eyebrows to make me think he had a bit of fun playing with his own image. And I’m a sucker for both sublime and ridiculous visuals. 4 stars! This entry was posted in Bollywood and tagged Asrani, Hindi, Irrfan, just Irrfan, Lara Dutta, Om Puri, Pritam, Priyadarshan, Rasika Joshi, Shah Rukh Khan, SRK. Bookmark the permalink. I’ll offer you a cup of tea. 🙂 Seriously, the Malayalam version is so, so much better. (And I like Shah Rukh Khan, despite everything.) 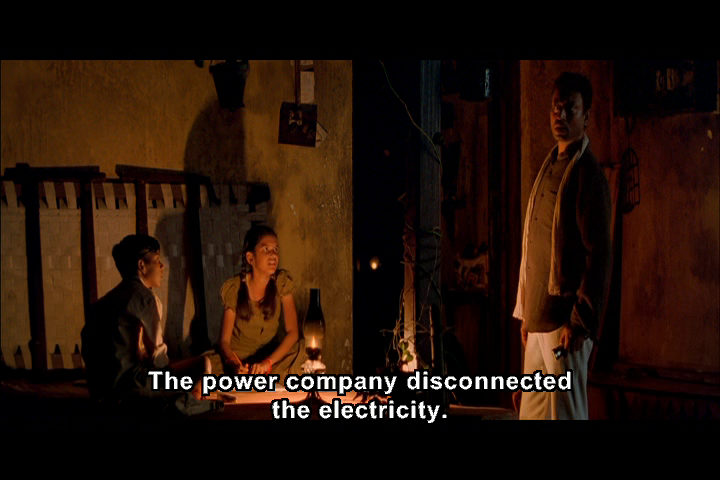 Simply because, the Malayalam version didn’t focus on Mammootty at all. He’s there for a very, very short while. The story was about Sreenivasan’s character. Cookies accepted. Anytime. 🙂 But honestly, do not wait until the desert island days before you watch this one in Malayalam. It’s a sweet simple movie but the contrast between the villagers, their life, and the star and his entourage is vividly yet subtly drawn. I watched the climax scene of Billu yesterday, and the corresponding scene in Katha Parayumbol is so much more understated, even if the emotion is the same. 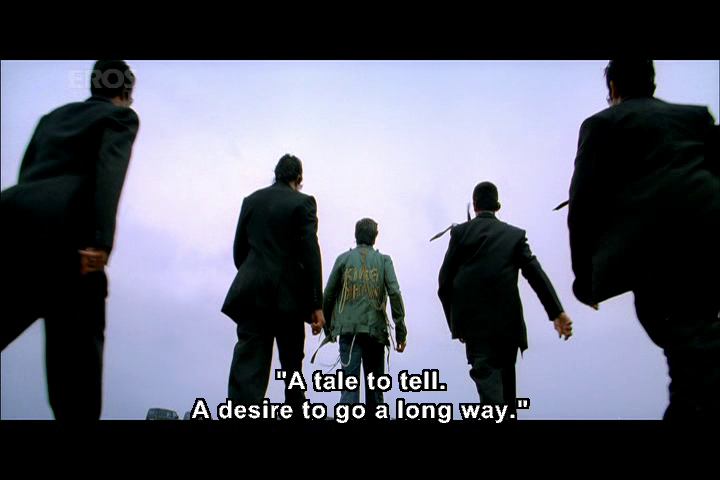 Mammootty is a joy to watch for the way he plays that scene. I think, when it comes to Hindi, everything has to be slightly more life size. And perhaps because I know the milieu of both regions, I can say that the Malayalam film was more true to its roots than the Hindi one.